May | 2011 | Chickens Don't Clap! Beyond his ongoing stint in classic thrashcore band Suicidal Tendencies and considerable work with avant-soul wizard Erykah Badu, bassist Stephen Bruner (aka Thundercat) has long been floating around the Los Angeles hip-hop, soul, and jazz communities, building a reputation as an impressive live and session player. Now, as a newly christened protégé of L.A.’s indelible Steven Ellison (aka Flying Lotus), Bruner is set to release his debut LP on Ellison’s Brainfeeder imprint sometime this fall. If you’re familiar with Bruner’s contributions to what was — in my estimation, at least — 2010’s greatest record, FlyLo’s prog-jazz opus Cosmogramma, you should already be excited to hear this news. Take a listen to the first taste from Thundercat’s The Golden Age of Apocalypse, however, and those expectations might just grow to celestial proportions. The spacey and soulful “For Love I Come” — which is actually a George Duke cover — unfolds with patient care, Bruner’s stunning falsetto floats gracefully across a transcendental soundscape of prominent, meandering bass and flourishing keys, finally opening up into a driving, brief barrage of future-jazz. Flying Lotus gets a producer credit and his hand here is strong; this feels very much like an extension of the ideas found in his dense masterwork from last year. Buy: Look for The Golden Age of Apocalypse to drop in the fall on Brainfeeder. 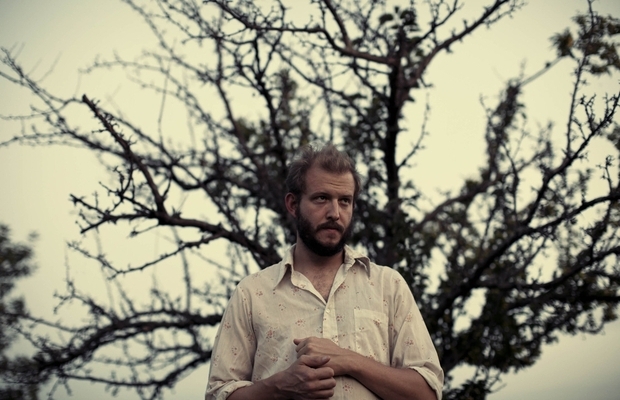 Wisconsin songsmith Justin Vernon has been a lot of places since releasing the first Bon Iver record. For Emma, Forever Ago may have propelled him to indie-fame, but between then and now he’s delved into minimal, experimental territory with Volcano Choir, R&B slow jams with Gayngs, and of course collaborated with pop enigma Kanye West on his epic prog hip-hop opus My Beautiful Dark Twisted Fantasy. In June, Vernon revives the project that ultimately made him with the quasi self-titled sophomore record Bon Iver, Bon Iver… and not without showing he’s learned a thing or two on his musical journey of the past few years. Opening with a mournful synth drone reminiscent of a Phil Collins ballad, “Calgary” finds Vernon’s falsetto immediately recalling that icy winter of pained nostalgia that he crafted so well on For Emma. Yet, it seems clear that Vernon is in a considerably more enjoyable place. As the song builds, the undercurrent of sadness is overwhelmed by driving percussion and bright guitar tones, maintaining its emotional depth all the while flirting with downright playfulness. Fans of the first record shouldn’t be disappointed, but rather excited for an expansion into a space at once fresh and familiar. Stream/download “Calgary” in the widget below and pre-order Bon Iver, Bon Iver right here. Some (mixed) thoughts on the latest record from Bibio, the varied and ultimately hit-or-miss Mind Bokeh, originally published here. I’ll be taking a little break from Treble, but keep showing Jeff and everyone over there love… they do good work and a lot of it. U.K. artist Stephen Wilkinson, better known to the world as Bibio, has been consistently spinning out into new territory ever since he dropped his first forays into fractured laptop-folktronic exploration with fi. In 2009 he released two records, though the boom-bap laced bedroom pop jangle of Ambivalence Avenue most potently displayed Wilkinson’s strengths as a songwriter and producer. All who heard that record couldn’t help but be excited at where he was headed next, a feeling that was stoked and fanned by some new mouthwatering album snippets released by Warp Records a few months ago. Yet, as the dust settles on Mind Bokeh, it seems less have been swayed by Bibio’s most recent rebranding, which finds his songcraft reaching out beyond his comfort zone into more varied and pop-driven territory. From the outset I’ll just come out and say that I think Mind Bokeh is a pretty good record, yet one that is not without its problems. Though some of us may have mistakenly been expecting an even more accomplished masterpiece, instead Bibio’s push to diversify his sound has the occasional feel of an artist perhaps pushing too far and floundering in unfamiliar sonic zones. When Wilkinson is on, he’s on — from the hazy, lo-fi funk of “Pretentious,” to the smooth chopped-up soul of “Anything New,” to the buoyant joy of “K is for Kelson,” to the Gold Panda-like haze of “Saint Christopher,” there are a number of solid tracks on Mind Bokeh. Yet other songs find Wilkinson unwilling to decide on an identity — “Artist’s Valley” starts off well enough, but then spills into a second half that fails to complement the rest of the composition — while others go on a little too long or are unconvincing from the get go. “Take Off Your Shirt” is the obvious stinker here; I don’t even dislike it all that intensely, but this is just something that Bibio should clearly stay away from. Please leave this kind of infectious, charming indie pop to Phoenix? K, thanks. Ultimately, I can say Mind Bokeh is a record worth checking out — even it takes a few listens to start appreciating it. Though its pastiche of ideas and styles never comes together fully, the missteps here serve as a reminder that Bibio is an artist constantly moving in new directions. His willingness to take chances may yield mixed results now and then, but even amongst his weaker efforts there remains a thread of charm and emotional depth that provides enough reward to justify spending some time with them. One can’t always expect consistency. And where’s the adventure in that anyhow? Buy: You can pick up Mind Bokeh over at BLEEP. Peep this hazy and hypnotic new video for Matthewdavid‘s “Noche y Dia / San Raphael”, taken from his debut LP for Flying Lotus‘ Brainfeeder imprint Outmind.